Purpose: Purpose clarifies the ‘WHAT’ and the ‘WHY’ of the Diaconate.  The primary goal of the Diaconate is to serve the material needs of the members and regular attenders of Seven Hills Fellowship while setting the Elders free to give their attention to prayer and to the ministry of the word. 1. Deacons will serve as ‘case workers’ for members and regular attenders who are in crisis or challenging circumstances, offering help in assessing their needs and in working with them to find short-term and long-term solutions. 2. Deacons will serve as Bi-Weekly Deacon (BWD), overseeing set up and tear down by guiding the Facilities Manager, handling logistics for the Lord’s Supper, and overseeing Sunday morning security. Values: Values clarify the ‘HOW’ of the behavior, heart and spirit of the Diaconate. 1. Humility – The gospel reminds us that we have blind spots, idols and brokenness deeper than we’ll ever know. So be HUMBLE! 2. Bravery – The gospel reminds us that we are loved by God and empowered by God to serve 7HF in spite of our brokenness. So be BRAVE! 3. Mutual Submission – God has called us as a body of equals with different gifts and passions to jointly establish the direction of 7HF. So be SUBMISSIVE! 4. Loyalty – Be a Band of Brothers. Publicly support the decisions of the General Session and the Diaconate and have one another’s back even when challenging one another. So, be LOYAL! 5. Patience – The growth and health of 7HF is a marathon not a sprint. So, be PATIENT! 6. Reverence – This is God’s church and God’s flock and we are stewards entrusted to feed, lead and protect HIS sheep. So, be REVERENT!